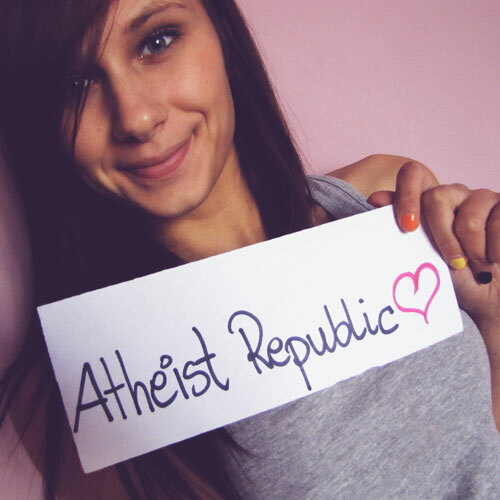 In just over a year, the Atheist Republic Facebook community has grown to include more than 820 thousand members, and more are joining each day. Our subscribers rely on us for news and discussion about current events for atheists around the world. We need social media managers to help run our Facebook and other social media campaigns. You'll be in charge of sharing news stories and posting memes and information that will entertain and inform our subscribers. You'll also be on the front lines of communicating with our community and managing comments while helping us grow. If you are the owner of any Facebook pages, you can mention them here. If you were to post the following on Atheist Republic's Facebook page, what caption would you use? Click here for meme | Please add your caption on the blank space below. Click here for article | Please add your caption on the blank space below. As a social media director on Atheist Republic, you will need to undergo around two hours of video and remote personalized training on the review, posting, and documentation process that each article and meme requires for the five different social media outlets. After this initial training phase, posting each article or meme, and documenting it correctly can take between 10 to 30 minutes.